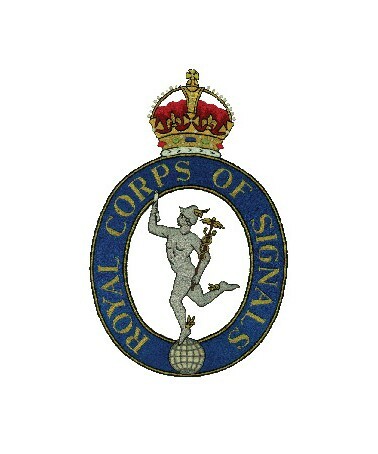 The instigator of an ’emblem’ for Signals soldiers. 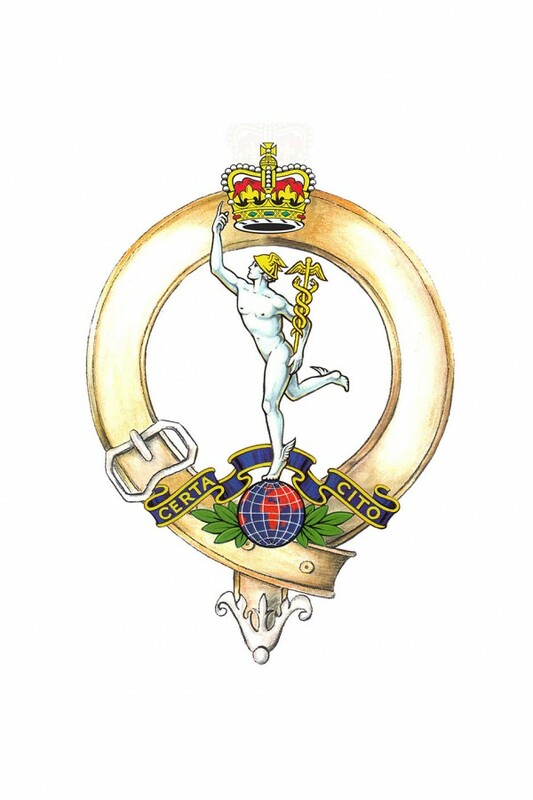 Mercury – the Roman God of messages/communication – was chosen as an emblem by Major Beresford. Mercury’s first appearance was in the Battalion magazine on 15th September 1884 – predating The Corps . 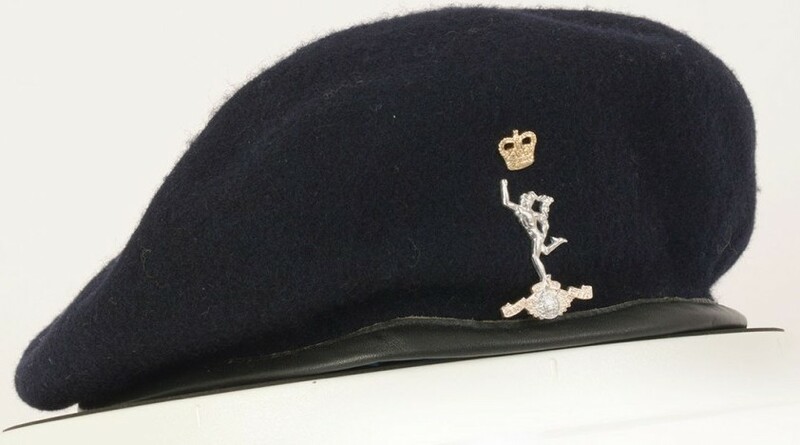 To members of the Corps the Royal Signals Cap Badge is affectionately know as ‘Jimmy’ – but what are the origins of the badge and its name? A boxing hero, a bandstick or something else? We examine the evidence behind the theories. Nobody is 100 per cent sure, but to believe the most widely accepted theories it is necessary to trace the history of communications units in the Army back to the formation in 1870 of ‘C’ Telegraph Troop, Royal Engineers. The Troop served with distinction in the Ashanti and Zulu Wars and by 1884, because of the growth in communications requirements, it was decided to form 1st and 2nd Divisions of the 1st Telegraph Battalion, Royal Engineers. Major CFC Beresford was the initial Commander of the 2nd Division and he was determined that it should have its own emblem (or ‘device’ as he called it). 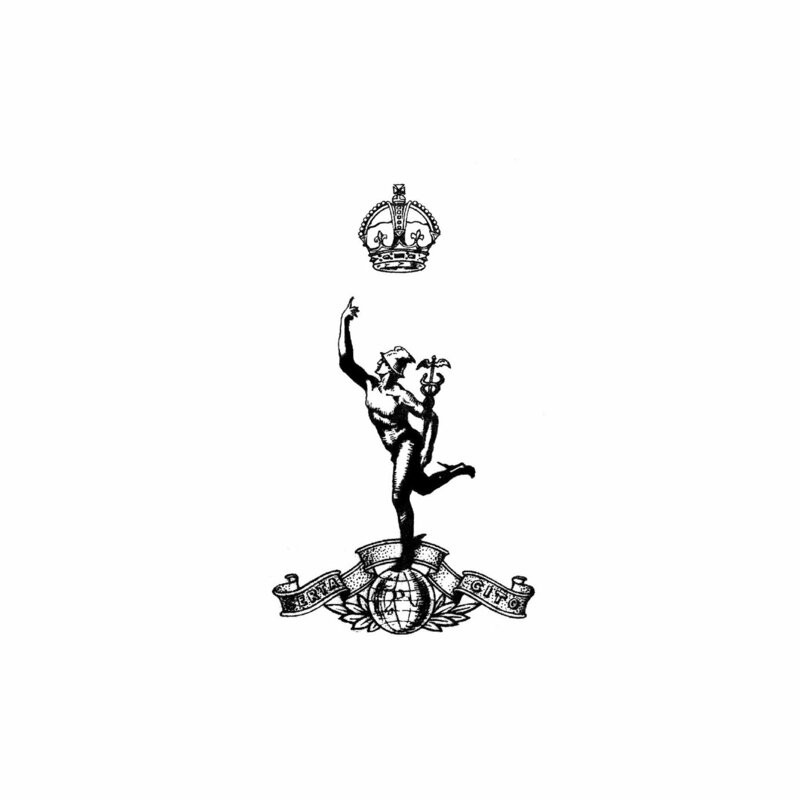 Having asked the Battalion for suggestions he decided none were better than his own – the figure of Mercury. 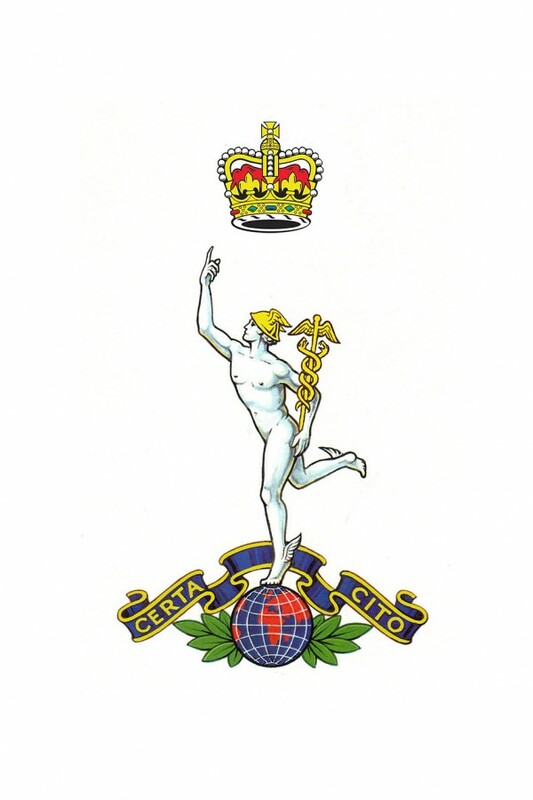 The official painted design for the Corps Cap Badge as accepted by the College of Heraldry. Mercury is the Roman God of messages/communication (including divination) as well as the God of financial gain, commerce, eloquence (including poetry), travellers, luck, trickery and thieves (yes really!). Additionally Mercury is also the keeper of boundaries between the upper and lower worlds – something not lost in today’s world of virtual reality! 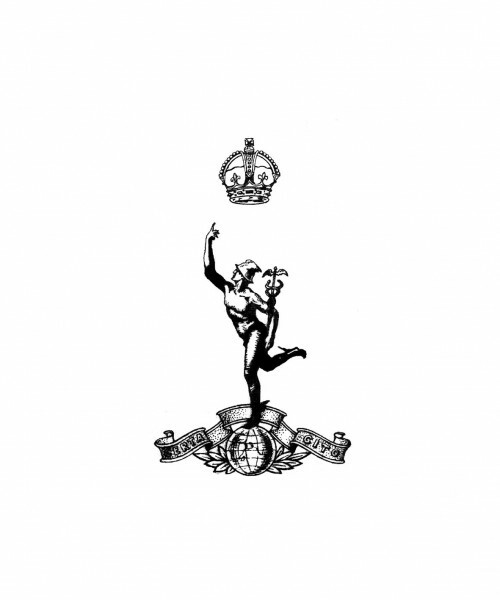 Mercury was duly adopted, first appearing in the Battalion magazine Military Telegraph Bulletin, on 15 September 1884, and on its headed notepaper. The new device was liked by the soldiers and so on 9 May 1891 Major Beresford and Lieutenant CJ Elkington RE presented a mace to the Band of the Battalion. The handsome mace had a figure of Mercury at the top. 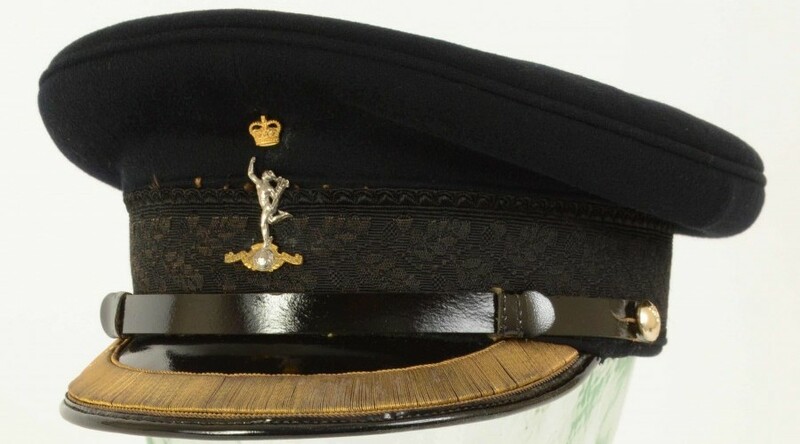 Mercury was never officially used by RE communicators as a badge, with the exception of the emblem on the Band Mace of the Band of the Royal Engineers which was passed on the the Museum and is still on display. 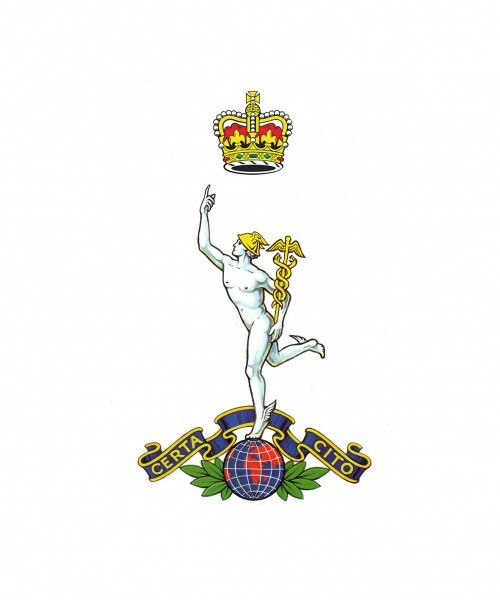 The Museum displays the original statue of Mercury from Major Beresford’s garden – a 5ft tall ‘Beresford Jimmy’ which belonged to the family of Colonel CFC Beresford, the inspiration for the Corps emblem. There are many other artefacts from this era on display including the original Band Mace of 1891 which belonged to the telegraph Battalion Volunteer Band. The image below shows C Telegraph Troop Royal Engineers 1870. 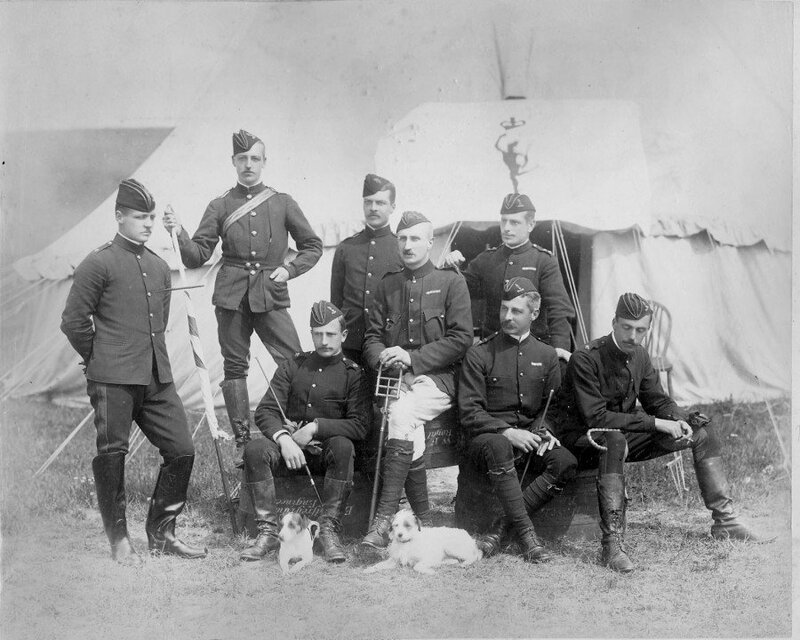 Capt Charles Beresford, “Jimmy” (later Major Beresford) is pictured seated in the centre of this group. 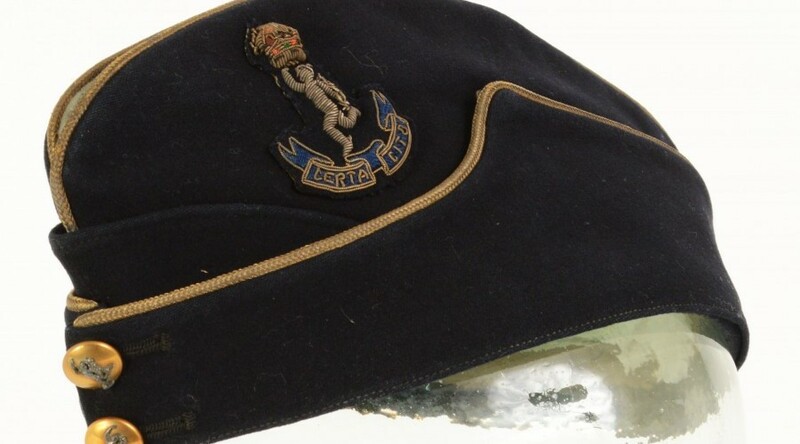 It was not until the ‘Corps of Signals’ was formed that the question of a cap badge came into being. 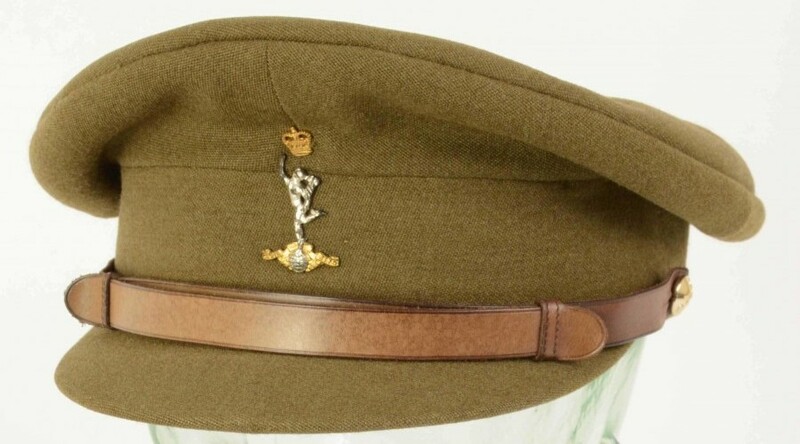 Following the decision of King George V to grant the ‘Royal’ title the first cap badge of Mercury was approved on 24 March 1921. This was of the initial pattern with the oval band surrounding it. 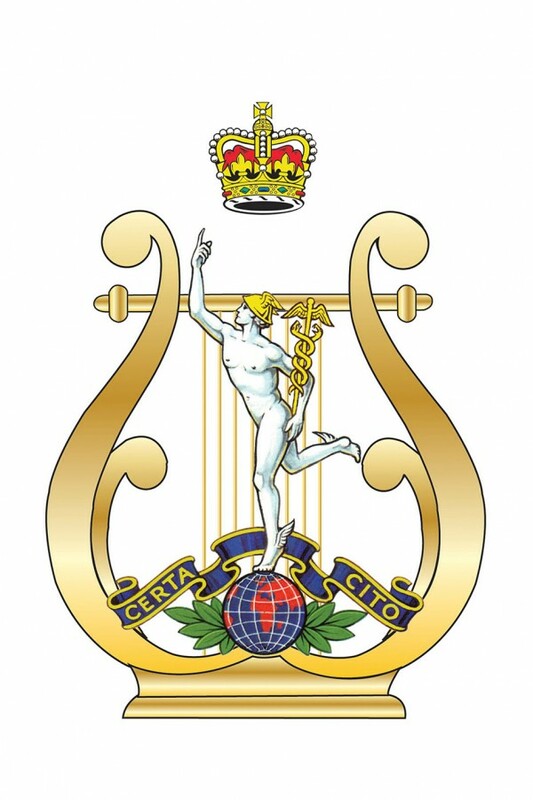 “The figure of Mercury holding a Caduceus in the left hand, the right hand aloft poised with the left foot on a globe all silver above the globe a scroll inscribed ‘Certa Cito’ and below on each side six laurel leaves all gold, the whole ensigned with the Crown in gold. 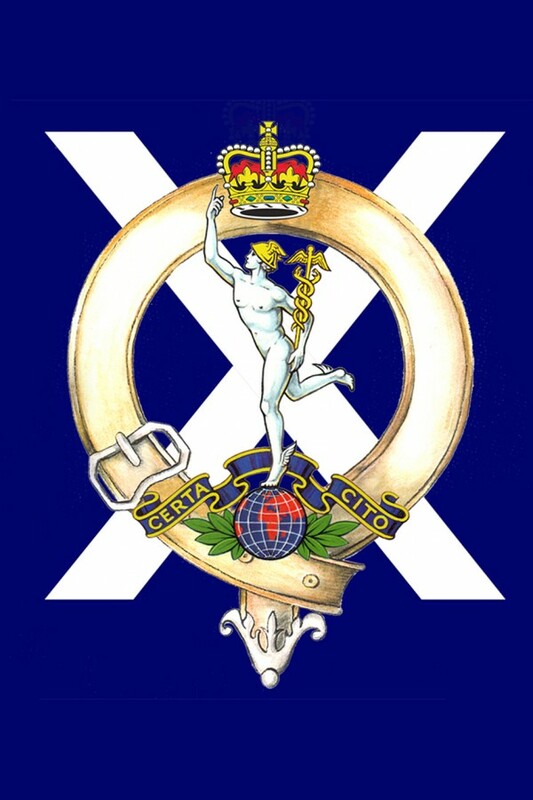 The Corps changed its style of badge in 1946 to that currently used. 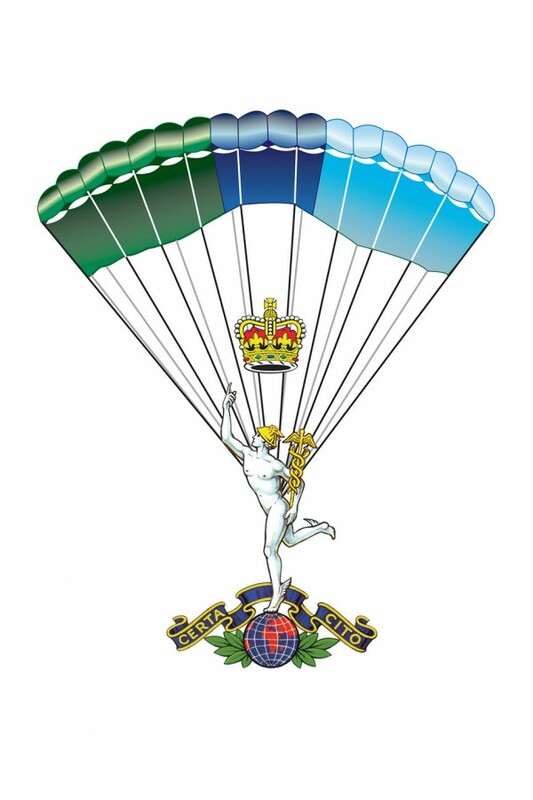 ‘Certa Cito’, meaning ‘Swift and Sure’, was included for the first time. 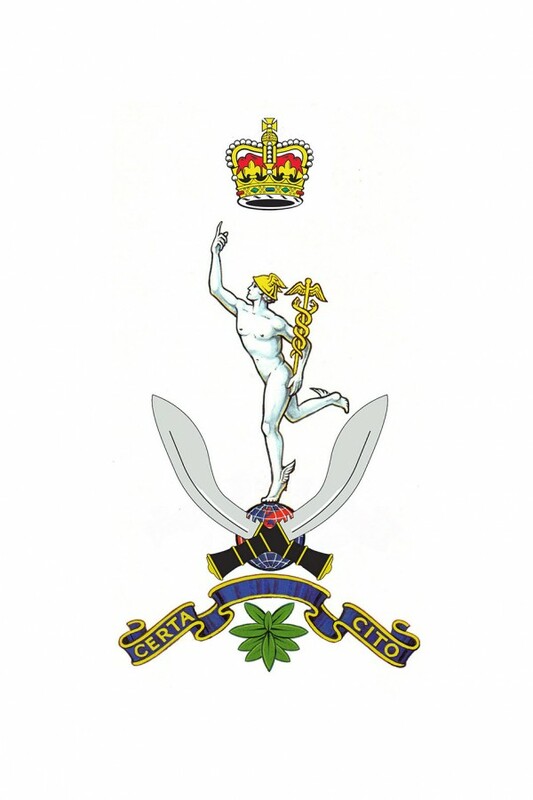 Pictured below: Cap Badge 1946 – 1953. “….on my return from South Africa at the end of 1904, I had the honour to be posted to the Signal Service RE in Aldershot. This unit carried the drum stick, so well known, with the figure of mercury on top. This figure was known as ‘Jimmy’ and had obviously been known as such for some time”. The bandstick is now on display in the Museum. Thus, the origins of ‘Jimmy’ live on! This is the original “Jimmy” on display in the Bargello Museum in Florence. It was made between 1578 and 1580 by Giambologna (Jean do Boulogne) and it is possible that “ Jimmy” was derived from his name.